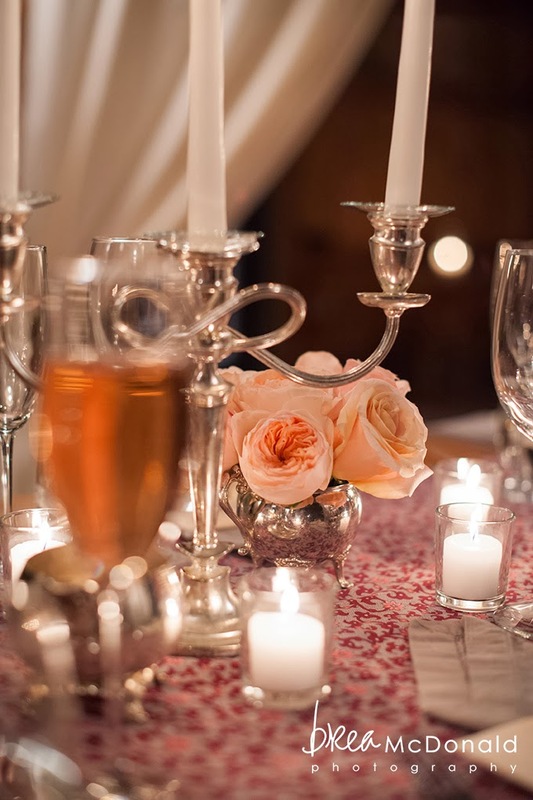 For the Valentine's Dinner at Flanagan's Table, we created a soft and dreamy atmosphere in the barn for a special holiday dinner. 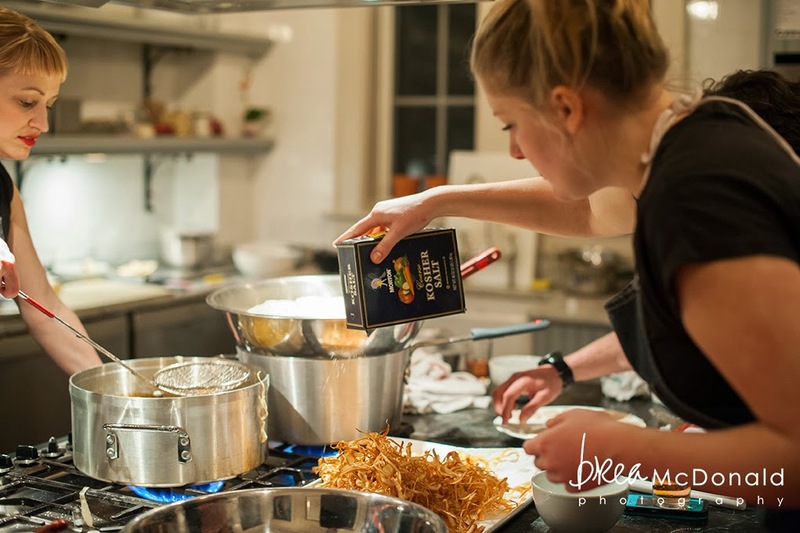 Photographer, Brea McDonald expertly captured not only the feel of the design of the table, light and fabric installations, but also the spirit and energy in the kitchen with Chef Erin French and her team, beautifully creating beautiful food. 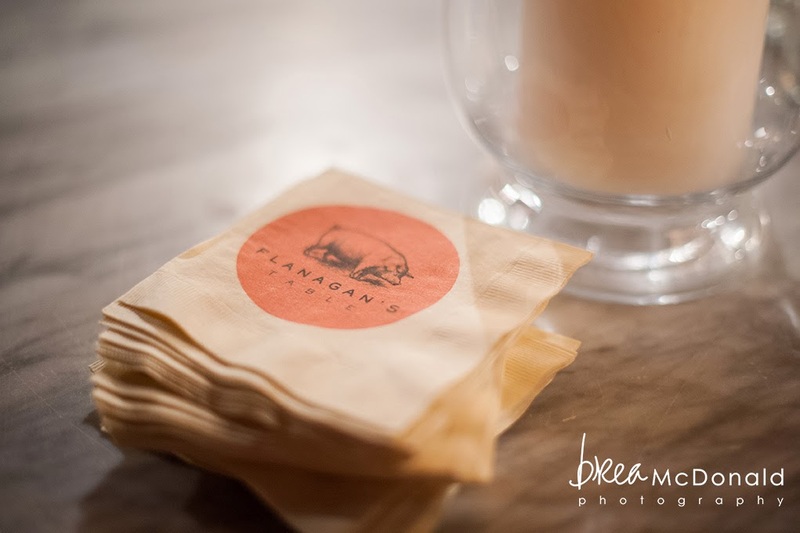 Flanagan's Table, in partnership with Maine Farmland Trust, is a monthly dinner series featuring a rotating guest chef from Maine. 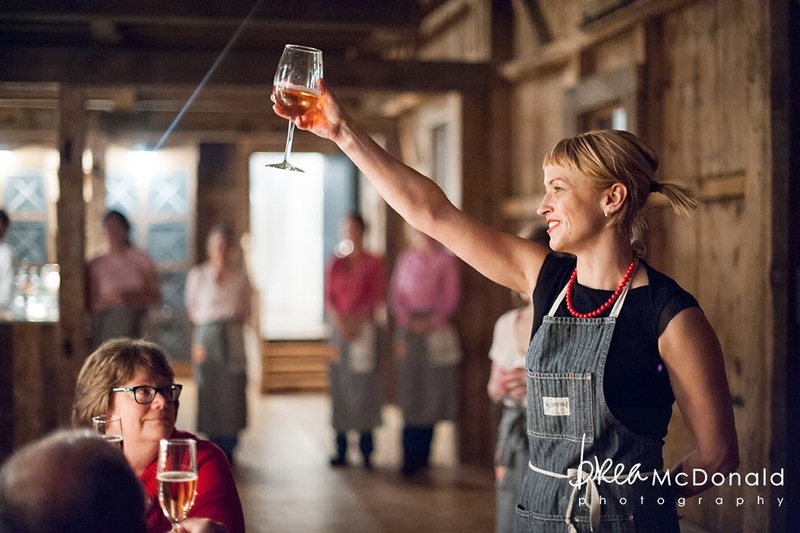 Set inside The Barn at Flanagan Farm, the five-course dinners feature local produce, cheese, meats, and pantry staples alongside wine and Maine beer. 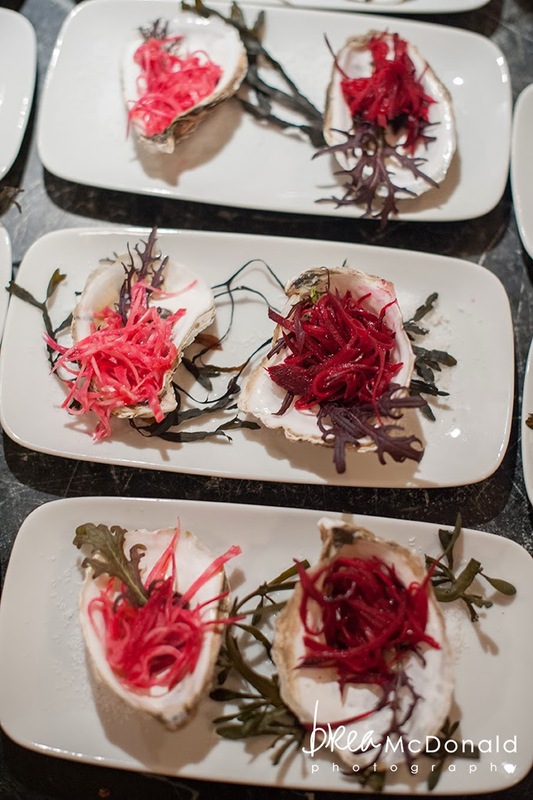 In coming together around Flanagan's Table, guests have the chance to further the efforts of Maine Farmland Trust, to which a percentage of the overall proceeds are donated, and to preserve Maine agriculture all the while ensuring the luxury and longevity of eating in a truly farm-to-table fashion. 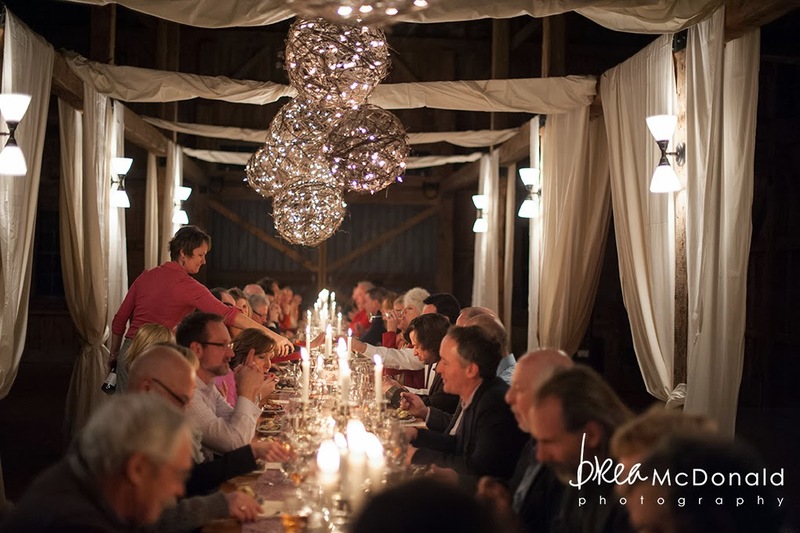 Working with Alex, the dinner series organizer, our overall inspiration was abundant light. 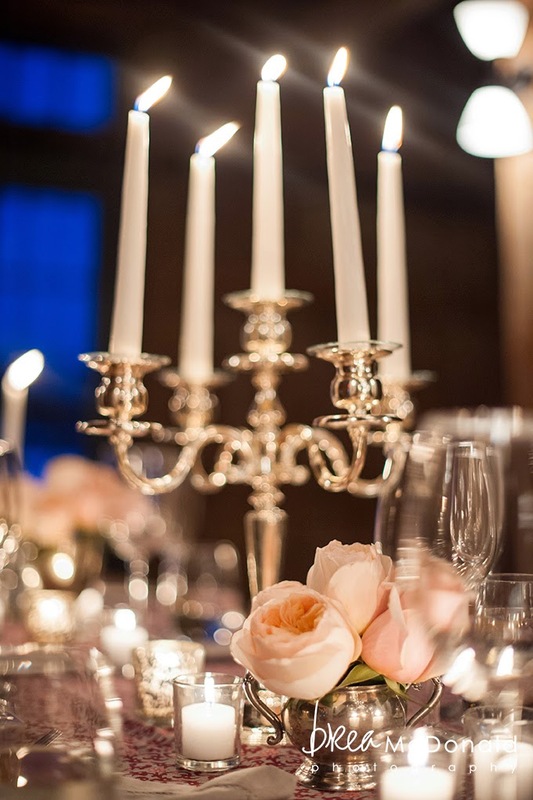 With twinkle lights, lots of muslin curtain panels, vintage silver collections and grapevine orbs we aimed to create a space within the space. 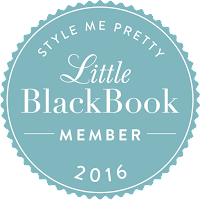 Thank you to Chris & Ava for your installation support and work! 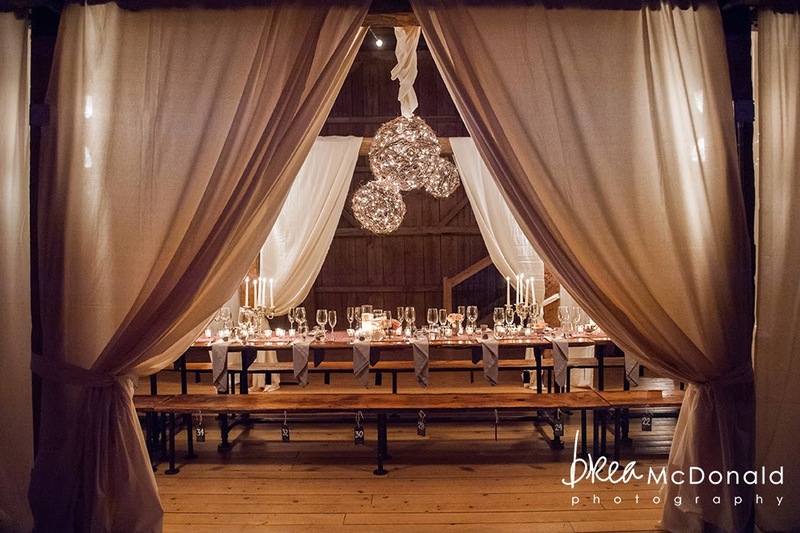 We created an entrance of curtains that framed the center view of the 44 foot long table, and installed curtains beyond the entrance to draw the guests into the space. 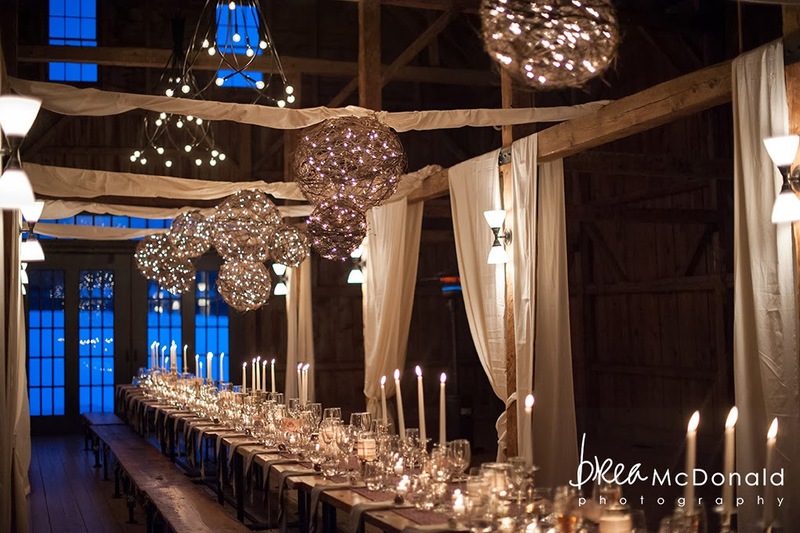 As the sky grew dark on the snowy field behind the barn, the interior of the barn began to glow with candlelight and the cozy warmth of twinkle lights. 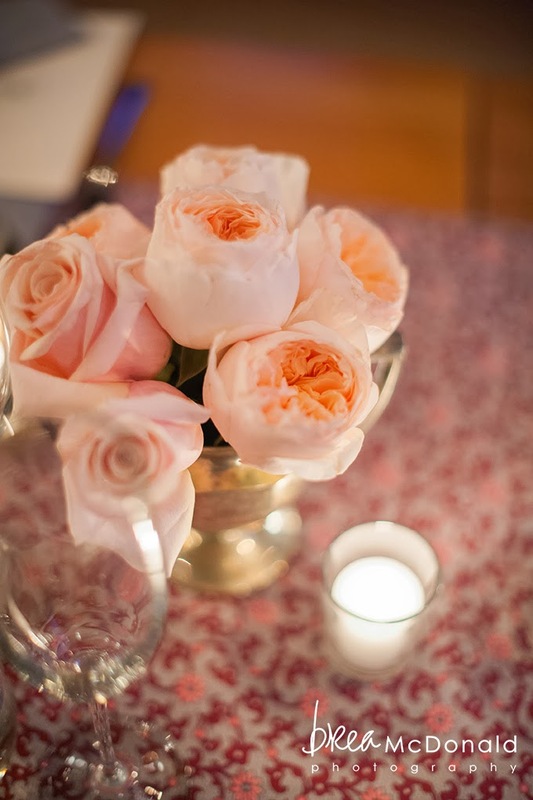 We created a custom table runner in colors of gray, pale pink and deep red, and added a few pops of David Austin Juliet garden roses as the only flowers, sprinkled down the table. 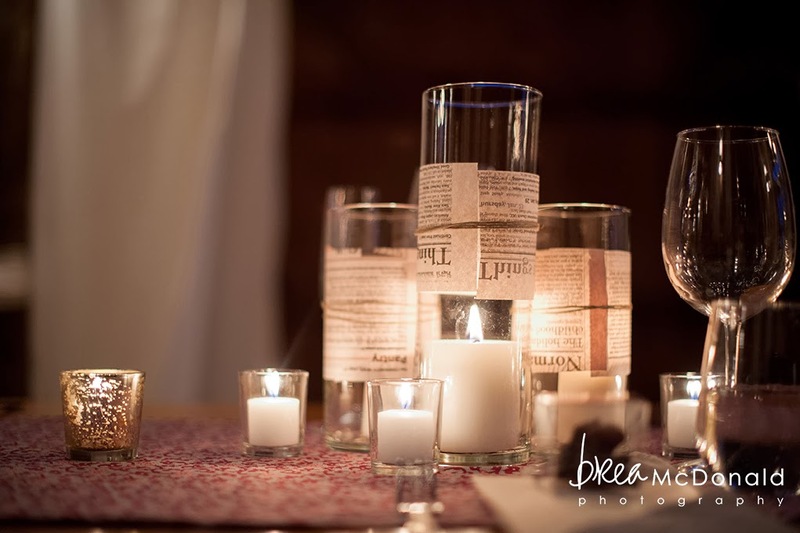 We used over 100 votive candles and 50 taper candles, along with 20 pillar candles in newspaper wrapped cylinders to create the warm glow down the table. Over 170 candles! The newspaper bands were a nod to love letters, or old newspaper clippings you might find in your grandmother's attic, and a way to reuse and recycle within the design. Chef Erin French toasts the guests..Chef French is opening her restaurant at a new location, you can read about her work and inspirations on her blog, here. And about her new restaurant here. Not only was the food colorful and special, but the artful display was a treat to see. 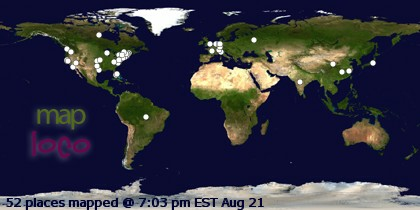 Everyone looks beautiful in candle light! 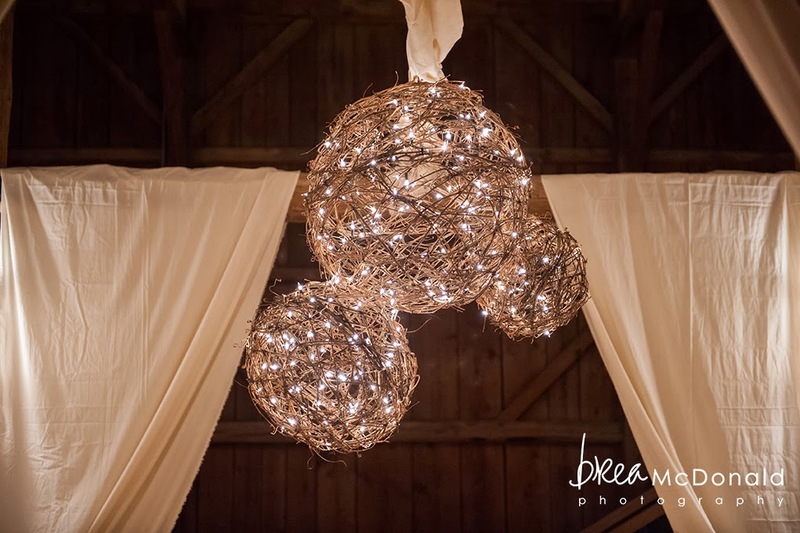 Maine Seasons Events and Maine Seasons Event Rentals has launched new websites! 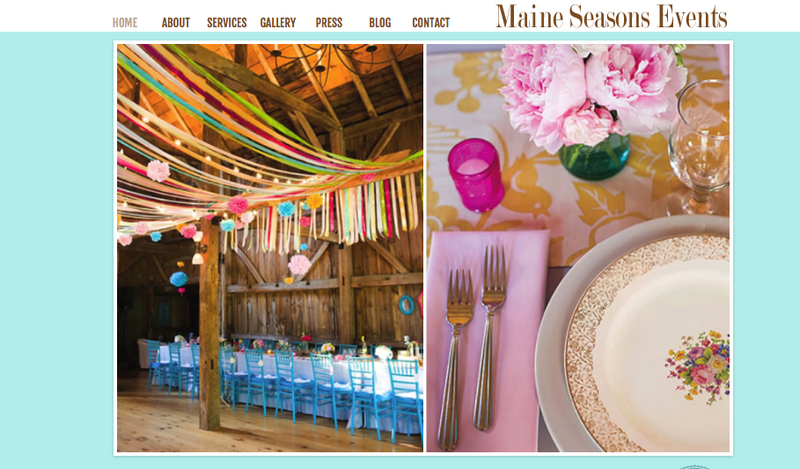 We are excited to announce the launch of our two new websites, www.maineseasonsevents.com and www.maineseasoneventrentals.com! After many hours of work and thinking, we have both sites ready to go and visible to smart phones and tablets, big to do task checked off for 2014! Thank you to our friend Ian for helping make the Maine Seasons Event website a reality in such a concentrated and scrutinized amount of time!